Winter has finally come to South Africa and it's been icy cold for the last month or so. We've also had quite a bit of snowfall all around the country (although around home it's all limited to the mountains) so I thought a snowy mani was in order. I drew simple snowflakes over a dark navy background using a toothpick. This photo was snapped after three days of wear. 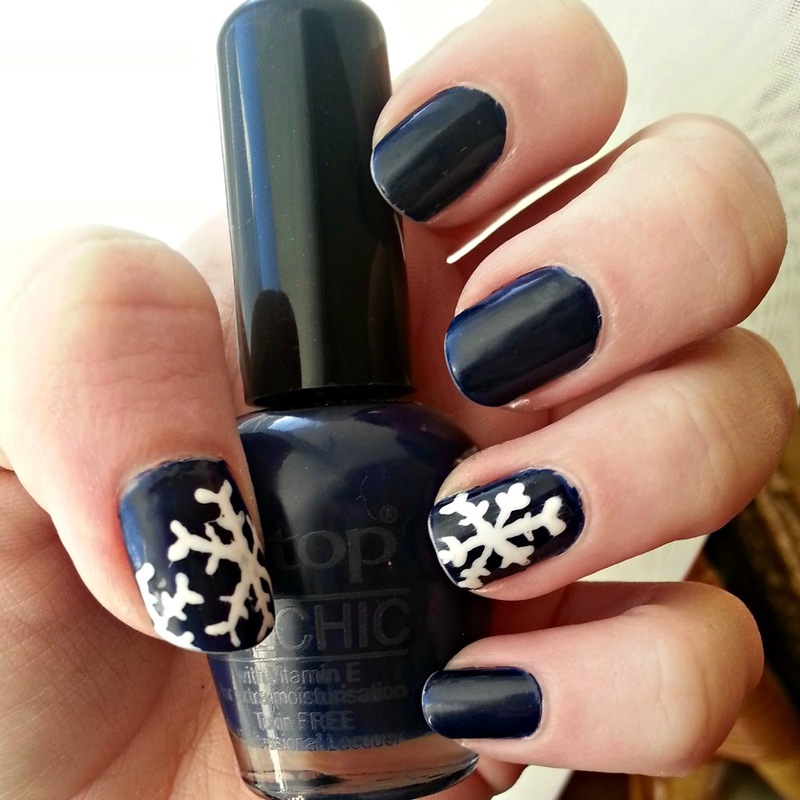 Base colour: Tip Top "In The Navy"
Snowflakes: Sinful Colours "Snow Me White"
I am so jealous of your freehand skills. LOVE the snowflakes!! That navy is such a stunning colour.